If you’re reading this, you probably want to learn how to develop functional websites and apps. You might want to do this because you want a steady source of income that frees you up to do your job while having fun/seeing the world. Or you might just want to improve existing processes. Or you might just want a more steady, secure flow of cash. Whatever your reason for wanting to learn web development, I’m sure it’s a good one because this is one skill you cannot go wrong with. We fortunately live in an age where the internet has become an integral part of our daily lives, and there is serious demand for people who can design, build and maintain websites. You would also be pleased to know that web development isn’t something you need to dedicate 3 years of your life at university learning. You can very easily learn to code online, and through dedicated practice. Web design is challenging and to make life that much easier, I’ve trawled the web to gather the best 20 web design and development training resources on the web. Most of them include a range of lessons covering a range of levels, from beginner to advanced. Let’s begin with the freebies. W3Schools offers interactive tutorials of steady progression that explains everything in plain and simple language. It also allows you play with markup live on the site, so you can see what effect the smallest changes can have on how a web page appears in the browser. Codecademy is a free, course-based online learning site that offers courses in HTML, CSS, PHP, etc. It gets you coding on the go by walking you through interactive examples. You progress in each course by completing simple exercises by the help of guidelines and explanations. Through these examples, you build up knowledge of the code’s syntax and semantics. There is also provision for you to type code right in the browser, and your code is evaluated on the fly by the platform. Code School is another good online code learning platform, offering free and paid courses. The different courses are organised in the form of paths, specific to technology and programming skills. Its approach is to help users learn by doing, through interactive video and coding in the browser. Free Code Camp presents a free platform to learn coding in a camp or community. It also gives you the opportunity to build applications that are useful to non-profit organisations in real time by taking part in coding challenges. The platform guides you through the coding challenges by helping you learn along the way. 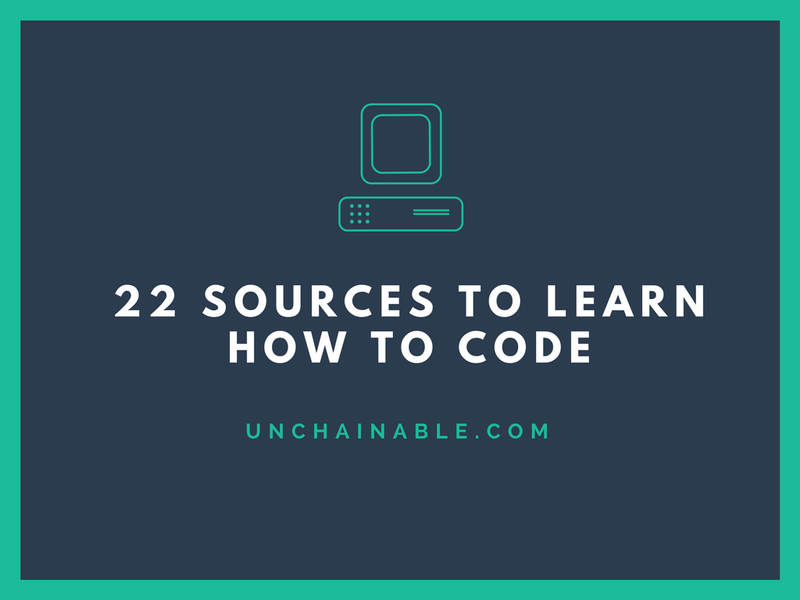 You also have access to interactive courses and coding tutorials. In addition, you have the option to meet other coders on the site, who live in your city, and have knowledge sharing sessions with them. You can also frequently access the community chatrooms on the site to seek help from other coders. This learning platform makes it really easy to learn and develop web development skills by providing instructors to teach the students. It also allows shared learning by letting the students share whatever programs they know with other students. This increases user engagement and helps participants grasp things quicker. Dash is the free interactive online learning program from General Assembly that teaches you how to code through a series of interactive story-based tutorials. It was originally an internal training platform but was so good that GA had to share it with everyone. Alison is one of the best resources allowing you to master web design for free. It offers a diploma-level course in Web Design, organized to cover HTML, CSS, designing, building and publishing web pages in general. The free online course is mainly an introductory course that uses a step-by-step approach in teaching how to create basic web pages. You can take an assessment whenever you like or retake it as many times as you need to achieve a satisfactory result. If you gain over 80% of scores, you will officially become a certified Alyson graduate. As proof of your achievement, you can either download a learner record or order a certificate. A List Apart is a compilation of articles and blog entries to help web developers get an edge when building custom websites from scratch. With over 350 articles, A List Apart features professional web development writers and columnists. Don’t Fear the Internet is a series of web tutorials to help even the most code-fearing individuals conquer the internet. It is aimed at teaching basic HTML and CSS to non-web designers who really don’t want to get their hands dirty with coding. CSS-Tricks is a blog where web designer Chris Coyier walks through some of the latest CSS techniques. It has become immensely popular among professional web designers, and has recently developed a partnership with Treehouse. It is a brilliant and constantly updated source of tips, tutorials, and video lessons – all free. The platform offers several courses built by renowned companies, such as Google, Facebook and AT&T. It offers individual courses, as well as “Nanodegrees” that train you for specific careers like front-end web developer, back-end web developer, or full stack developer. Some course materials are free while some are not, but all Nanodegrees require a tuition fee. The Nanodegree programmes are targeted at helping you get the right direction in your career and increasing your job opportunities. Udemy is a large online learning marketplace with both paid and free courses. It offers hundreds of courses in all aspects of web development and design. Anyone can start teaching a course on Udemy, so price and quality varies and each course must be purchased individually. There are free courses available for web design on Coursera, but some of them are fee-based. The fees for the paid courses vary depending on the institution offering the course. Not only does Treehouse provide great content but there’s also a game element to the site that tests you on what you’ve learned and rewards you with achievement badges. So if you need extra motivation to learn, this is a great site to use. Lynda.com is a subscription-based website that offers a wide range of video tutorials that will teach you how to design websites. The basic subscription plan costs $25 per month or about $240 per year. The basic subscription gives you unlimited access to the subscription library, with new courses weekly. They also offer a premium package of $34.99 per month (unlimited access to the library, new courses weekly and project files to download) and about $360 per year (unlimited access to the library, new courses weekly, project files to download course downloads for offline use). Its basic HTML essential training video covers the basics of HTML programming that includes the fundamentals, text, images, multimedia, HTML5, metadata, CSS integration. Envato Tuts Plus is subscription based – $15 per month, $90 per year (you get 50% off your first year) and $360 per year (Pro). The course also teaches you to make an interactive and responsive website using advanced CSS selectors and special layout techniques. You will also be introduced to PHP to make dynamic websites like Facebook. Online courses are perfect for self-motivated individuals who want to study in the comfort of home. E-learning can be as effective as traditional, face-to-face education. It also provides enormous flexibility. You are free to learn anything, anytime and anywhere you want, without being worried of time or place limits.